Just finished preparing the blanks for carving, yesterday. I'll start carving the Kads this week, but it will be at least a month before the first batch is ready. Those members who have ordered the Kad Sets, need to let me know what colours they want their sets painted. Still a couple of sets available, if anyone is interested. The set comprises the 2" and 3" Kads @ $100 + postage. I also make a Mini Kad to go with the set @$35. 60 Kads to carve, so I best get started. Progress update, for those members waiting for the Kaditchas. All lures are now carved and sanded. Just started twisting the wires and putting the lures together. Still waiting for a for some members to let me know what colour they want their Kads painted. Looks like it's your's, Jas. Just need to come up with a colour. Sorry Ross, I only do 20 Sets and all are ordered. This one was a cancelled order. My dad showed a liking to them when i was showing him the site...its his 70 th bday coming up so i thought why not. Just a progress report for those members wondering about the progress of their Kads. I undercoated the last of the Kads, last week. I'll be in Qld in the next week or three. When I return, the Kads will be painted and then I can start to work on the Expo lures. 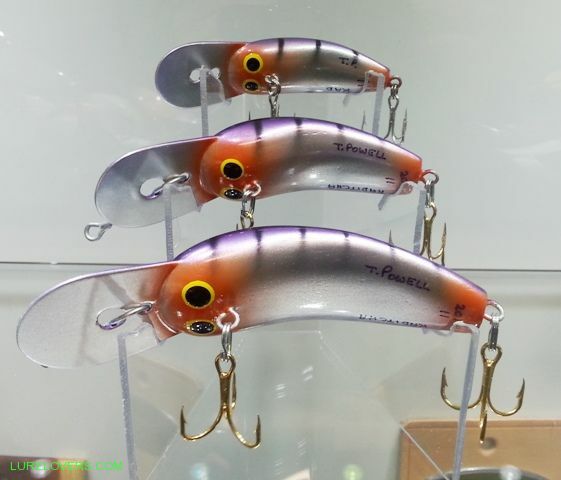 I see you make mention of expo lures, are you going to be at the camping show this year? At last, the 2015 Kaditcha Sets are nearly finished, only 6 months later than expected! I soldered the tow wires today and tank tested all the lures. Should get the trebles on tomorrow and they will be ready to 'bag' and send. Thank for everyone's patience. I was late getting started on the Sets, this year, because of the "Tenterfield +20 Years" boxed Sets. Then a mixture of crap weather, holidays, floods and a desperate attempt to make enough lures for the Expo, meant that it was always going to be a late season finish. All but 7 Sets have been ordered for 2016. Let me know if you want a 2016 Set. I'll PM/email those members who have ordered the Kad Sets, with payment details. Will also try to get some photo tomorrow. All but one Set now finished . One member is still pondering over the ultimate colour scheme! These are the 3" Kads. A couple of members requested that I choose the colour scheme (too much stress on me ), so now they have to work out which Kads are their's!! Thanks Travers, very happy with the colour, the finish, pretty much everything about my first set of Powell Kaditchas! So much so, I made them a special stand, and made room for them in the good cabinet. They look nice Matt...travers does a nice paint job. Beautiful things Travers, worth the wait to see these. Nice choice in colour there Matt...very nice set in purple and black. Well and truly worth a spot in the good cabinet. Travers makes a beautiful lure. Finally, the last Set of Kads has left the building! 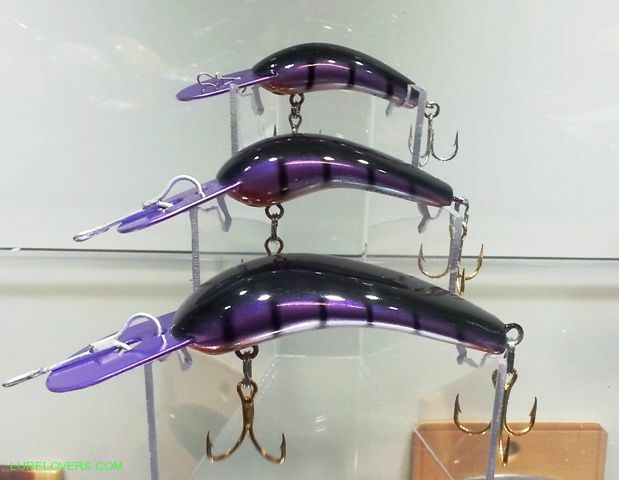 This Set represents the last lures to be made at East Maitland, as all the painting gear has been packed up ready to move to our new house in Port Macquarie. A full set of Kads: 6", 5", 4", 3" & 2" Kaditchas plus a Mini Kad. Mustard, rocco, mustard . Or, is that 'dirty yellow'?